Dr. David Zuckerman (Ph.D., Communication) is a Fulbright Scholar and full professor of intercultural and international communication in the Department of Communication Studies at California State University, Sacramento (CSUS). Dr. Zuckerman has directed more than 15 MA thesis or PhD committees, and he teaches courses and delivers invited lectures across the US, China, Canada, France, Belgium, and Germany. Dr. Zuckerman was a keynote speaker at both the 2013 and 2014 China Beijing International Fair for Trade in Services (CIFTIS), and the 9th China Northeast Asia Investment and Trade Expo in Changchun, Jilin Province, China, and at the Culture Industries Fair in Shanghai in December 2014. Dr. Zuckerman also delivered a lecture for the 13th Humanities Forum at the North China Institute for Science and Technology. In 2013, Dr. Zuckerman was awarded a Fulbright grant to the University of Jyväskylä, Finland, through the Fulbright Specialist Program. An active scholar in the overlapping areas of terrorism, identity formation, and popular culture, Dr. Zuckerman is one of the authors of the Kendall-Hunt textbook Intercultural Communication and Global Integration. Dr. Zuckerman also recently published a paper called "Integration and Cultural Fusion in the Central Business District: A Gebserian Approach to Business in the Global Economy" in The Taiwanese Journal of WTO Studies and co-authored "Inspirations and Limitations: Reason, theUniversal Audience, and Inspire Magazine," published in The Journal of Communication and Religion. Another article, "To Argue You Have No Opinion is To Insult People: A Gebserian Analysis of Identity in Northern Ireland" appeard in in P. Dalton (Ed. ), Communication, Comparative Cultures, and Civilizations, Volume 1 (2006). He has presented nine competitive papers and six responses at regional, national, and international conferences during the past 5 years. Dr. Zuckerman also serves as a reviewer for the Journal of Intercultural Communication Research and is a past-President of the International Jean Gebser Society. Dr. Zuckerman's training and development experience involves three years of teaching courses to US military personnel for the Department of Defense Joint Course in Communication at the University of Oklahoma, and teaching at Ramstein Air Force Base in Landstuhl, Germany. 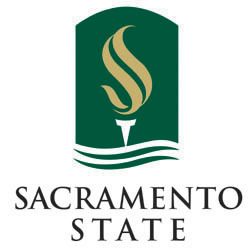 Dr. Zuckerman has also been involved in adult education in the Sacramento area, consulting to clients such as Intel, the California Franchise Tax Board, the California Department of Corrections. In addition to his work as a full-time professor in the communication department, Dr. Zuckerman also teaches courses in Decision-Making for the Supervisory Development Certificate Program under the auspices of the CSUS College of Continuing Education. Dr. Zuckerman has lived in China, the United Kingdom, Ireland, and Israel, and speaks English, French, German, Hebrew, Italian, Yiddish, and Arabic, and Mandarin Chinese. The 2015-16 school year is Dr. Zuckerman's 20th year in the university classroom. Here are his Fall 2015 courses. Zuckerman, S.D. (2014, December). Intercultural communication: Key to Success. Official proceedings of the China Service Trading Annual Conference. Shanghai, China. Zuckerman, S.D. (2014, September). Chinese export cinema in a post-industrial world. Official proceedings of the 10th International Culture Industries Fair. Shenzhen, China. Zuckerman, S.D. (2014, accepted for publication). Terrorism as communication: An intercultural communication approach to the world’s biggest political threat. Journal of International Relations. Zuckerman, S.D. (2013). Integration and cultural fusion in the central business district: A Gebserian approach to business in the global economy. Taiwanese Journal of WTO Studies, 24, 1, 41-82. Zuckerman, S.D. (2013). Integration and cultural fusion in the central business district: A Gebserian approach to business in the global economy. Taiwanese Journal of WTO Studies, 24, 1. Kramer, E. M., Callahan, C. L., & Zuckerman, S. D. (2013). Intercultural communication and global integration (2nd ed.). Dubuque, IA: Kendall-Hunt. Schreiner, M. E., Williams, M. A. E., & Zuckerman, S. D. (2013). Inspirations and limitations: Reason, the universal audience, and Inspire Magazine. Journal of Communcation and Religion, 36, 1, 112-125. Zuckerman, S. D. (2015). Chinese Individualism: Espoused and Enacted Cultural Values and Revisiting the Individualism-Collectivism Dialectic. Accepted and scheduled for presentation at the International Association for Languages and Intercultural Communication, Peking University, Beijing, China, November, 2015. Zuckerman, S. D. (2015). We Are Chinese: Mythic Identity in Chinese Exchange Students. Accepted and scheduled for presentation at the annual conference of the International Jean Gebser Society, San Francisco, October, 2015. Zuckerman, S. D. (2013). Gebserian approaches to business communication. International Jean Gebser Society conference, Burbank, CA, October 2013. Zuckerman, S. D. (2013). On doing business with North Americans. To be presented at the China Northeast Asia Investment and Trade Expo, September 4, 2013, Changchun, Jilin Province, China. Zuckerman, S. D. (2013). Roundtable experts discussion. To be presented at the China Northeast Asia Investment and Trade Expo, September 5, 2013, Changchun, Jilin Province, China. Zuckerman, S.D. (2013). Integration and cultural fusion in the central business district: A Gebserian approach to business in the global economy. Presented at the China Culture Industry Forum, Beijing Fair, June 2013. Zuckerman, S.D. (2013). Communication and Politics. Panel respondent, Western States Communication Association, Reno, NV, February, 2013. Zuckerman, S. D., Ahmadzai, N., & Gazi-Alam, M. (2012). It Will Take a COMMunity to Un-Shatter This Place: Developing an Afghan Non-Violent Conflict Resolution Matrix Using the Indigenous Pashtunwali Code. Paper presented at the National Communication Association, Orlando, FL, November 2012. Zuckerman, S.D. (2012). A Jew does not mourn in private: Community, shiva, Kaddish, and mandatory public grieving. Paper presented at the National Communication Association, Orlando, FL, November 2012. Zuckerman, S. D. (2012). On overcoming tribalism: Modifying Kramer's Dimensional Accrual and Dissociation (DAD) Theory to conflict resolution. Paper presented at the International Jean Gebser Society, Monterey, CA. Zuckerman, S.D. (2012). Critical explorations of new media: Response. Panel response presented at the Undergraduate Scholars Research Conference, 83rd annual convention of the Western States Communication Association, Albuquerque, NM, February 2012. Schreiner, M. A., Williams, M. A. E., & Zuckerman, S. D. (2011). (Un)Reasonable voices: Perelman’s universal voice and Al-Qaeda’s Inspire magazine. Paper presented at the 95th Annual Convention to the National Communication Association, New Orleans. Zuckerman, S.D. (2011). Transcending potential cultural barriers in online communication. Panel response presented at the 95th Annual Convention to the National Communication Association, New Orleans. Zuckerman, S.D. (2011). Critically examining the ideologies and contestations of talk. Panel chair, 95th Annual Convention to the National Communication Association, New Orleans. Zuckerman, S.D. (2011). Voiceless: Strategies for Confronting the Transcendent. Panel chair, 95th Annual Convention to the National Communication Association, New Orleans. Zuckerman, S.D. (2011). Performing community: Ethnographic inquiries in a cross-survey of collaborative construction of real and imagined community. Paper presented at the 82nd annual convention of the Western States Communication Association, Monterey, CA, February 2011. Dr. Zuckerman is currently in Phase 2 of an international cross-cultural study of the differences in the cultural values we advocate and those we enact through behaviors. Phase 1 was done in China in Fall 2014, and Phase 2 will be done in California this year. This section contains short tutorial movies to help you learn how to do the tasks you will do in my courses. You will need Adobe Flash (free online) or another media player to watch these movies. You will find the movies listed in alphabetical order, and I will post more of these as needed during the semester. Updated: September 9, 2015 C.E.